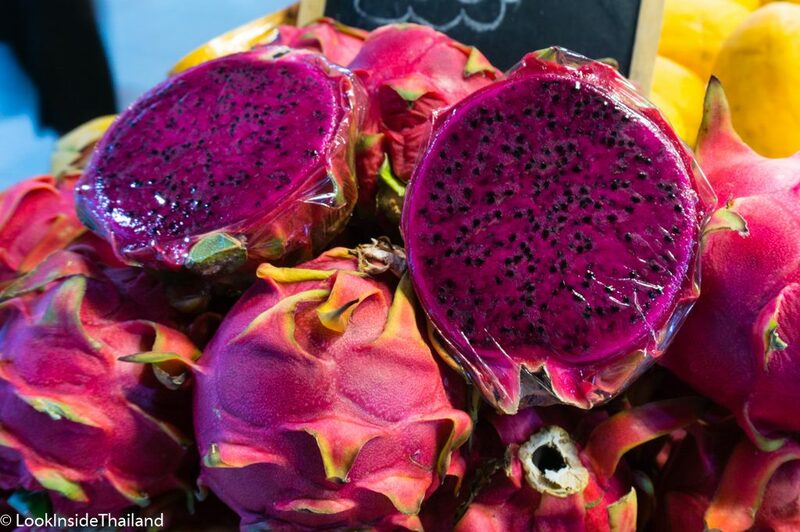 Dragon fruit has a bright pink body with green, yellowish skin like flaps. 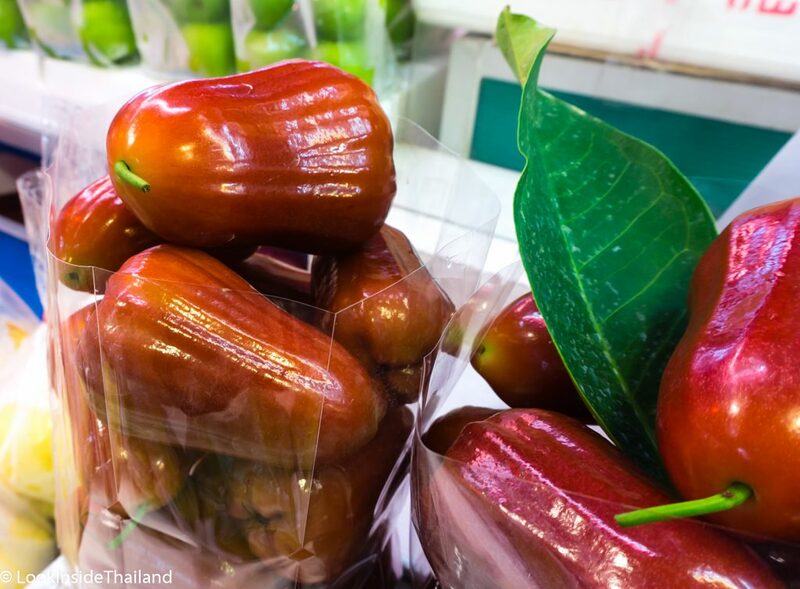 This fruit of Thailand looks like it is from a futuristic cartoon. This weird fruit grows from a cactus plant and has lovely soft internal flesh. 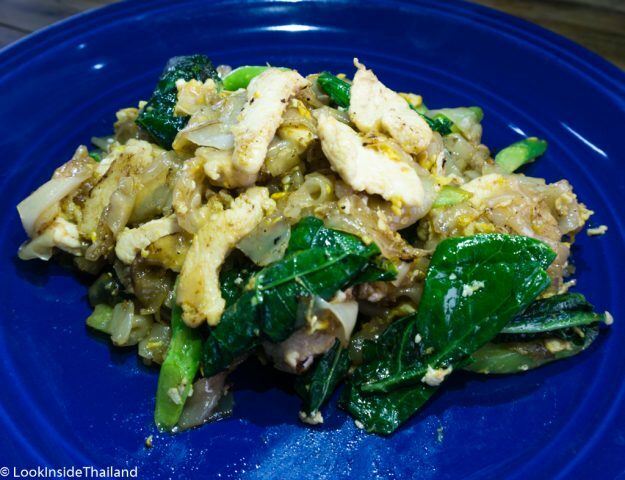 Kaew mongkorn, as it is called in Thailand, can have both white and dark purple internal flesh and is normally eaten with a spoon. It has a mild taste, is low in calories and is rich in vitamin C, B1, B2, B3, Phytoalbumins antioxidant, calcium, magnesium and fiber. This low sugar, low fat, and low carb fruit is commonly used in many countries as a food substitute for diabetics. Snake fruit has a hard, brittle spiked shell and when cracked open, reveals yellow-orange lobes of flesh that is both sweet and sour. The small seeds are inedible, but are easily removed. I love to eat sala, but it can really be hard on the fingers. The little needles can stab you as you crack it open to get your treasure. 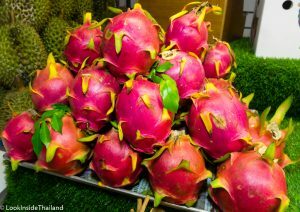 I like to buy this fruit already peeled and ready to eat, it is easy to find from fruit vendors all over Thailand. Snake fruit contains high levels of potassium, pectin and nutrients like vitamin C, iron, calcium and thiamine it this healthy fruit is said to be good for memory not to mention it is super delicious! Rambutan is bright red, with yellowish, greenish hair that looks more like a cat toy than a fruit. LOL. The hair-like spikes sticking out from the surface of the fruit gives it a unique look and makes it easy to spot. 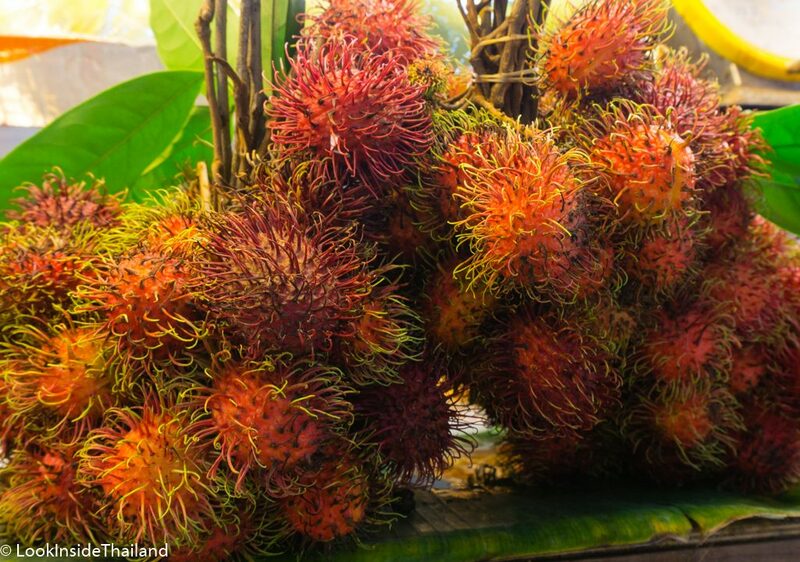 Rambutan gets its name from the Indonesian word “rambut“, which means hair. Its internal flesh is sweet and delicious with a large brown inedible seed in the middle of the fruit. Rambutans are full of vitamins and minerals containing a good source of copper, iron, and Gallic acid which is known to fight free radicals. Many people say that this fruit tastes like a sweet lychee. 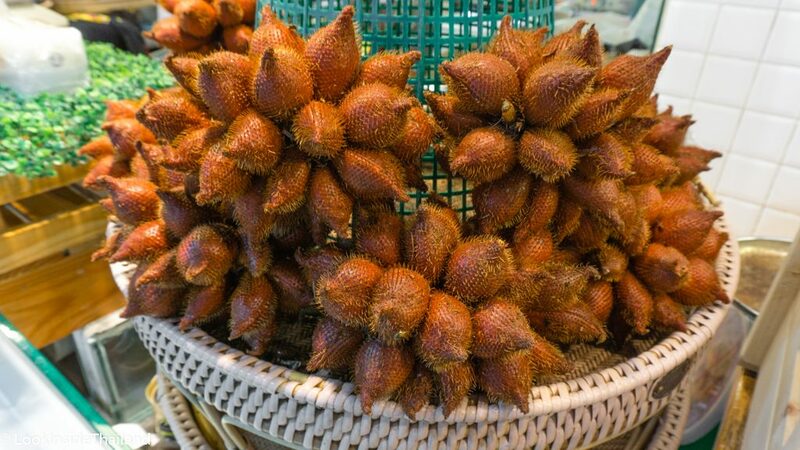 This gigantic spiky fruit is an incredible site the first time you see it in its natural form. It takes a skilled person to open it with a sharp knife. 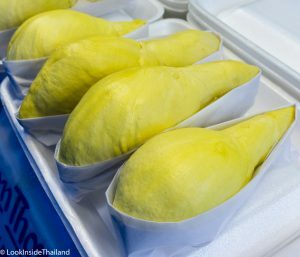 Thai’s do not buy an entire Jackfruit. The vendor will open it and take the yellowish flesh out and package it for sale. It contains large seeds that are edible, but not until they have been processed. Most vendors remove the seeds before selling them. Jackfruit is high in vitamin C, A, B6, riboflavin and phytonutrients that can help prevent cancer cells. The taste is super tropical and almost bubble gum like with a meaty texture. Tip for the ladies, many believe that it helps with wrinkles. Okay! 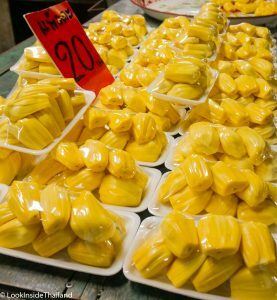 Sign me up for a double dose of this wonder Thailand fruit!! When I see these little black balls, it reminds me of the movie Pirates of the Caribbean, “Load the cannons!”. The tough, almost leather-like skin, is a thick deep purple rind. Be careful when opening mangosteens because the juice contained in the skin will stain your clothes. The internal white juicy lobes are sweet with a soft texture and will melt in your mouth. The Mangosteen does contain seeds and can be eaten, but most do not as they are bitter. The powerhouse of antioxidants with over forty different xanthones that fight a laundry list of diseases and repair cells, this is truly a super fruit. A delicious combination of strawberry, peach and vanilla flavor with a little bit of sourness. 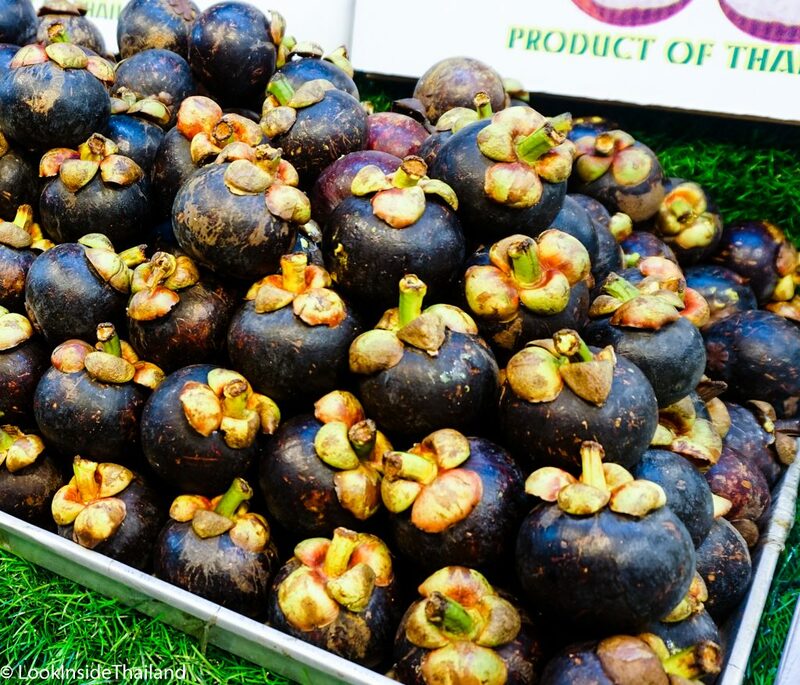 Mangosteen is definitely one of my favorite Thailand Fruits. Shaped like a bell and light red in color, it can be eaten whole after the tiny seeds inside are removed. The health benefits of the rose apple include the ability to detoxify the liver, improve digestion and protect against diabetes it is even known to boost the immune system. The fruit is crisp, succulent and tastes like a grape and pear had a baby. Do you have a stronger stomach then Andrew Zimmerman? That guy can eat anything, well almost… He actually spits this one out! Called the king of Thailand fruits with its unique taste and an extremely strong smell which resembles rotting fruit. The smell normally stops most people from trying it. 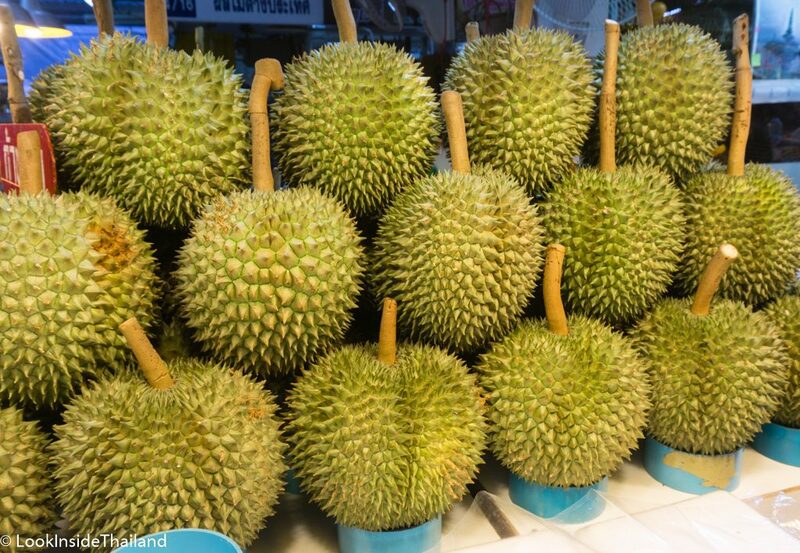 In Thailand, you can’t take durian in hotels, planes, taxis, BTS, MRT and even some public places. 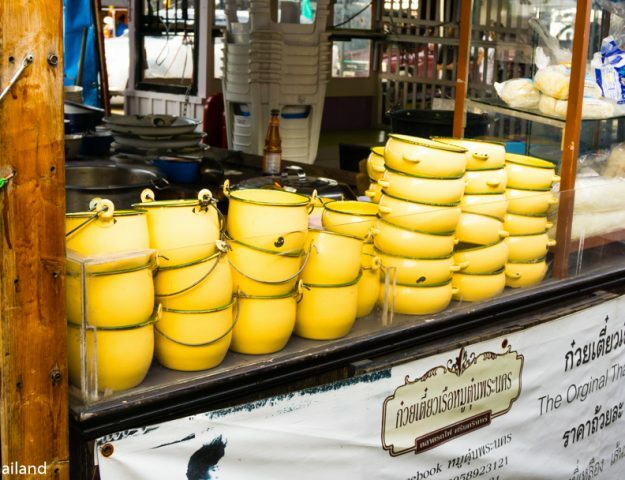 We Thai’s think it tastes like creamy sweet milk and we love it!! When I have a craving for durian, I normally will go to a tourist area for fun. I like to watch and talk with the tourist trying durian for the first time, you will see some great reactions. If you are the adventurous type you should give it a try, it will make a great travel story, to say the least. 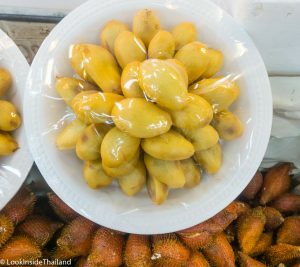 Don’t overlook our many different fruits on your trip to Thailand, delicious and unique, you should try them all! 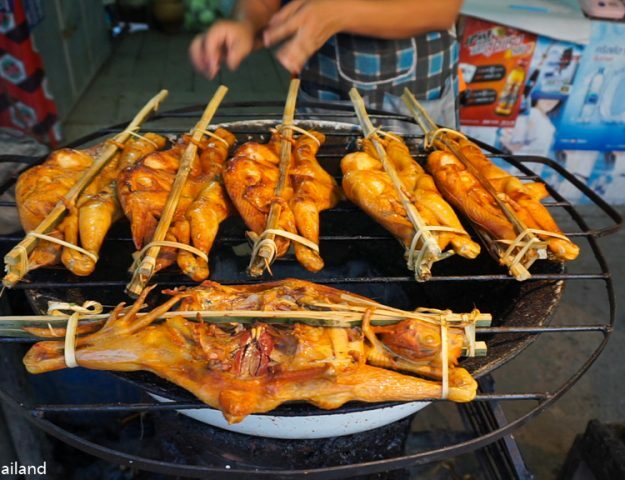 If you are looking for street food in Bangkok, check out our Top 5 Street Foods!